On the 16th March I set off on a big bird (plane) for my next course of intensive medical treatment over in California to help my ongoing fight against Chronic Lyme Disease. I had no idea just two months earlier that I would need to return to the specialist clinic, nor that I had to once again think about raising ridiculous amounts of money again to do so. I had been deteriorating more noticeably toward the end of 2014 and by February 2015 I knew I really didn’t have any other option but to access more treatment overseas. The oral antibiotics I was having to ship over to the UK were not hitting the bugs hard enough and I wasn’t prepared to risk a complete relapse right back to square one. 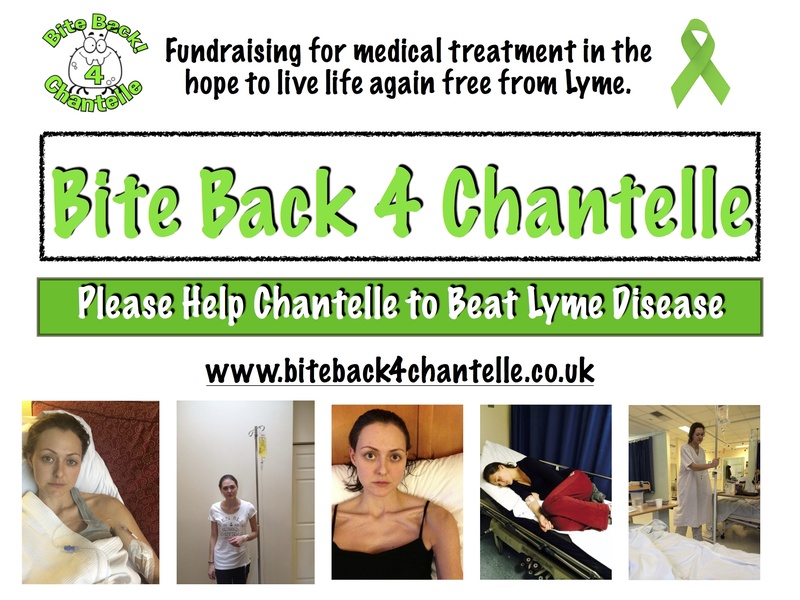 To be in the UK and have no intravenous antibiotics was hindering my progress massively and I could feel myself slipping more and more into the grip of the multiple infections; Lyme, Babesia, Bartonella and Mycoplasma. The prospect of returning to California was a daunting one for many reasons. I knew what this type of treatment involved and how it was very much going to make me feel worse before better. I would also be flying solo for the trip this time too. I have got used to me, myself and I for company in these periods of illness, but there is only so much talking to the walls you can do! I also just felt an overwhelming amount of stress just thinking about trying to sort out the financial logistics of it all. This illness is more expensive than I can even put into words. You literally haemorrhage money and this is no exaggeration! I have spent approximately £35,000 so far trying to get healed and there often doesn’t seem to be a sign of the spending stopping. A working individual on a good salary would struggle to find this amount of money as ‘spare’, let alone when you are too sick to work and therefore have no income. For about 4 weeks prior to my departure I feel like I cried almost every day…who knew one human could shed quite so many tears! The pain, the stress and the constant worry just seemed never ending. It was not just the forthcoming trip that made me anxious, but the continuos fight for survival and never knowing if and when the battle would end. This illness doesn’t give you a time frame or an end date. I can only describe my body at times like a shoe lace; when its tatty, worn and almost thread-bare and you don’t know if its going to last another day or just snap when you least expect it… and lets face it, there really is never a good time for a shoe lace to break! Lyme disease is inconvenient, intrusive, controlling and just one giant cloud of uncertainty. We learn all sorts of life skills as we grow up but nothing can prepare you for feeling like a hostage in your own body. This is Lyme, day in, day out. With all this difficulty aside, I knew I had to get a grip and ‘crack on’! I would be flying to the US one way or another and I had to keep my mental strength in tact to enable me to do so. I wasn’t prepared to give up or be negative, this was just not an option. I wrote lists after lists and got to work kick starting my second fundraising campaign. As much as every bone in my body hates to ask for financial support I just don’t have a choice. Without fundraising there is no way I could access the kind of money needed for this type of medicine. Things started to take shape and before I knew it I had booked my flights and accommodation and dusted of my suitcase. It was happening! USA… Round 2. I arrived in California completely exhausted, full of a head cold and barely able to string a sentence together! I am surprised I actually managed to arrive in one piece! I literally dumped my bags, power showered off the travel dirt and lay horizontal for the next 10 hours! Sleep is never to be underestimated, sick or not! I had a day to settle, unpack and get my head together for the next stage of treatment. I was ridiculously nervous but at the same time just so relieved to know I was only 24 hours away from some productive help towards getting my life back. I am beyond grateful to be able to access this treatment and I know without it my future would be merely existing or worse death. My current fundraising page is very much an on going project and I just continually hope that I will somehow be able to raise the needed funds for treatment. Failing to do so doesn’t feel like an option, so I cling onto every bit of hope and believe that things will work out one way or another. For anyone struggling in any part of life right now my words of wisdom to you would be to believe that things will work out, and always make sure your dreams are bigger than your fears. Know that there is something inside of you that is greater than any obstacle”. If any of you reading this are able to support my fundraising in any way at all please know that every penny is truly appreciated and a massive help. No donation is too small and would contribute to my journey in fighting for a healthy future. Thanks for reading and be sure to subscribe to my blog if you would like to receive notifications of new updates and progress reports. Are you seeking treatment at Gordon Medical Associates in Santa Rosa? I see Dr Wayne Anderson there. Hope your treatments bring you relief.